We live in an economy where more small businesses are forming on a daily basis than ever before in our history. Opportunity for small business has never been greater. Opportunity for wealth creation has never been greater. If you’re willing to do 7 simple Steps, your successful business isn’t too far away. In this interactive online program, you learn to take massive action to get your business, the Cash Machine of your Wealth Cycle, booming. Please note that this product is delivered entirely online as audios and a workbook. Discover the 7-step process that will accelerate your business and position it as an asset in your wealth building plan. Step 1 – State Your Vision – Your vision is a picture of your preferred future state and forms the foundation for your commitment to your business. Step 3 – Create a Revenue Model – Revenue drives your business. All your strategies must be tied to your revenue model. This is what distinguishes a business from a hobby. You either make a profit, or you lose your business. 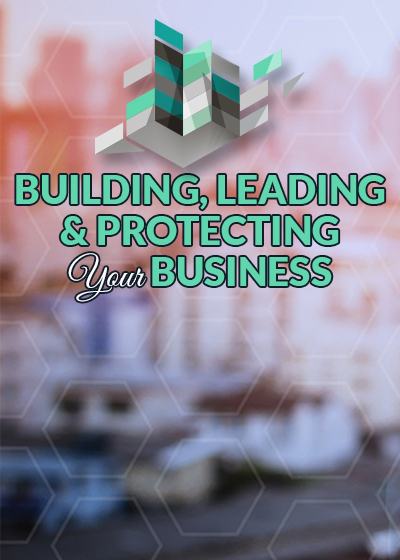 Step 4 – Protect Your Business Assets – Financial, tax, and legal protection of your business and its assets is accomplished through entity structuring. The goal of proper asset protection is to minimize your risk and to grow and sustain your asset base. Step 5 – Market Your Business – Marketing is critical, and for many entrepreneurs it is the last thing they want to be doing. It is done randomly, irregularly, or not at all. To be effective, marketing needs to be a system that is highly focused on a very specific market identified by your vision. Step 6 – Sales – You can bring prospects to your door with great marketing, but can you sell them your product or service? Sales is both a strategy and a tactic that requires an allocation of resources, energy and time. Step 7 – Leadership – You are the leader of your business and it is your job to inspire and motivate your team as you help them maintain daily focus on your vision. Whether your team consists of just you or several hundred, you must see the future while designing and orchestrating what happens today.